Volkswagen e-up! | Charging station, charging cable & installation service for Volkswagen e-up! All charging information and products for the Volkswagen e-up! Fully charged in just 6 hours? Being on the road and able to charge? Everything is possible - with a charging station that perfectly suits you and your Volkswagen e-up!. Find out more about how to charge your Volkswagen e-up! : What influences the charging time of your Volkswagen e-up!, how to best charge it at home and on the road, why you should not charge at a domestic power socket but at a charging station especially designed for electric cars and how much it costs to install a charging station. Charging information for your Volkswagen e-up! Technical data of the Volkswagen e-up! It only takes around 6 hours to fully charge the Volkswagen e-up! with up to 3.6 kW of charging power which equals a range of nearly 160 km for the Volkswagen e-up!. Charging times for the Volkswagen e-up! are listed in the technical data below. You don’t believe us? Just grab the charging cable from your charging station, plug it into your electric car and your Volkswagen e-up! is set to charge. It is as easy as it sounds. No delay while charging, no time loss searching for a compatible charging station. Domestic sockets are available everywhere. Equipped with a mobile charging stations and suitable adapters you can charge your Volkswagen e-up! at every domestic or industrial socket available. 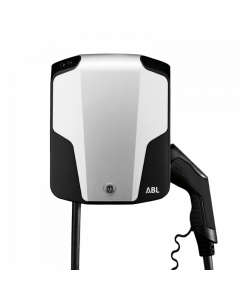 Your electric car’s charging device (on-board charger), legal requirements and the charging power of your domestic installation all determine how quickly your Volkswagen e-up! is recharged at the charging station. 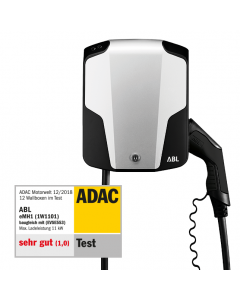 Legal restrictions for single-phase charging at home: Germany: up to 4.6 kW of charging power; Austria and Switzerland: up to 3.7 kW of charging power. Technical data¹ and charging times (as of 2018) e-up! The Volkswagen e-up! is Volkswagen’s first mass-produced electric car. The basic model of the Volkswagen e-up! comes with an 18.7 kWh battery, which offers a real range of up to 160 km (according to NEDC). Factors such as road conditions, your driving style and the season also affect the range. You can charge your Volkswagen e-up! at home with ease using a wallbox. With a battery capacity of 18.7 kWh and a charging power of 3.6 kW, the battery will be fully charged after just 5.5 hours or so of charging. It’s also possible to charge your Volkswagen e-up! 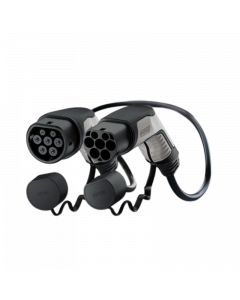 from a conventional domestic socket at 2.3 kW, for which you will need a mode 2 charging cable. In order to ensure safety in the long term, however, we advise against charging from a domestic socket. The main reason for this is that charging from a domestic socket will place the maximum load on the socket for almost 8.5 hours. 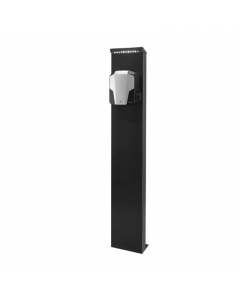 A suitable 3.7 kW wallbox will not only allow you to charge your Volkswagen e-Golf safely, but also nearly twice as quickly as using a domestic socket.